The Secondary Bedrooms up front share a full Bathroom with a nice-sized linen closet. The Kitchen was designed with x201C;every day x201D; in mind, providing ample pantry and cabinet storage, as well as counter space. The white 42 cabinets complete the look! The light and bright Family Room and Dining area hug the Kitchen for ease of traffic flow, which draw you toward the back of the home for a more secluded Owner x2019;s Suite. Owner’s bathroom features a walk-in shower that you’ll love! Tile floors throughout. 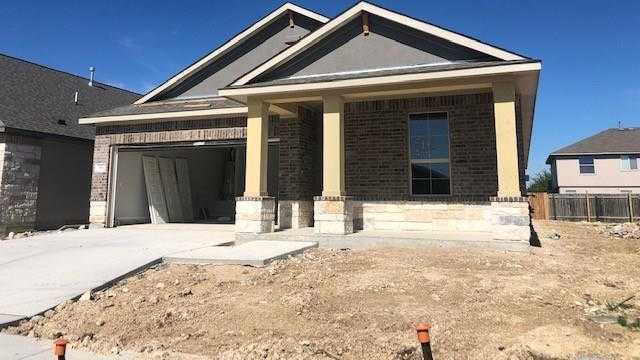 I would like to schedule a private showing for this property: MLS# 8594122 – $259,210 – 816 Alta Way, Leander, TX 78641.